Olabode Olaonipekun Osoba popularly known as Radical77 is a Nigerian musician based in the United Kingdom. 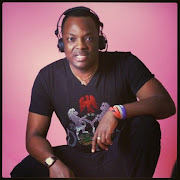 The artiste who is comfortable singing or rapping was born and raised in Lagos Nigeria before choosing to relocate to the United Kingdom to continue his studies as a teenager. After studying at the University of Greenwich and earning a degree in Counselling/Psychology, Radical77 decided to leave his professional career behind for his first love and true calling, a career in music. Following his huge decision to follow his dream, Radical77 found the first few years in the music industry a bit tough, in his own words he said ‘’ I was trying to find my sound and ultimately myself, I hung around the wrong crowd and became somewhat lost in a different world’’. Although Radical had taken a different path, his love for his music and more importantly his father brought him back on track leading him to fuse his Counselling degree with his music by writing inspirational lyrics and producing uplifting sounds. In recent years Radical77 added motivational speaking into his repertoire, proudly speaking at young boys/girls clubs as well as attending schools inspiring kids to stay away from gangs and a life of crime. With continuous work in the studio, Radical77 released his first official single “Ko ni lo le” followed by ‘’Aje’’ in 2011 , with visuals for ‘’Aje’’ shot partly in Nigeria and the United Kingdom, it officially launched Radical77 into the music game with critics and fans paying attention to his infectious vocals and inspiring lyrics. He soon took some time off releasing songs to become a full-time carer for his very ill dad, Radical77 said this in a recent interview ‘’my father is my inspiration, he is the reason I strive to be a better person and want to be a role model to young kids who perhaps have been lost. Being the sole career for my ill dad was a duty I took on with the most pride and I always felt like it was my duty as a son to him, my father taught me everything I know and he is my number one fan.” Returning to his music career fully, Radical said all my focus is now solely on my career and it’s time to ensure my fans get what they deserve from me and music lovers will get more of what I’m known for. Keeping true to his words, Radical77 finished 2014 the way he started 2015 by releasing two singles in ‘’Tabolo’’ and most recently his new and already critically acclaimed banger ‘’Black Gold’’ produced by prolific Afrobeats producer Oy Beatz. Black Gold taken off his yet to be released EP ‘’Number 1’’ is a song that Radical77 wrote to celebrate who he calls ‘’a special woman/person in one’s life. It emphasizes the two strong components in an African man’s life, Black ( skin complexion/race) and Gold ( business, finances and security). And these words were used to celebrate that special person’’. When asked if he had a special someone in his life, with a smile on his face Radical77 simply said ‘’Black Gold’’ says it all so please listen to it, you will find your answers there’’. With a signature Oy up tempo beat and a well laced Radical77 vocals, Black Gold is a rare but great mixture of Afrobeats and soul music that gets the party started putting listeners in a celebratory mood. 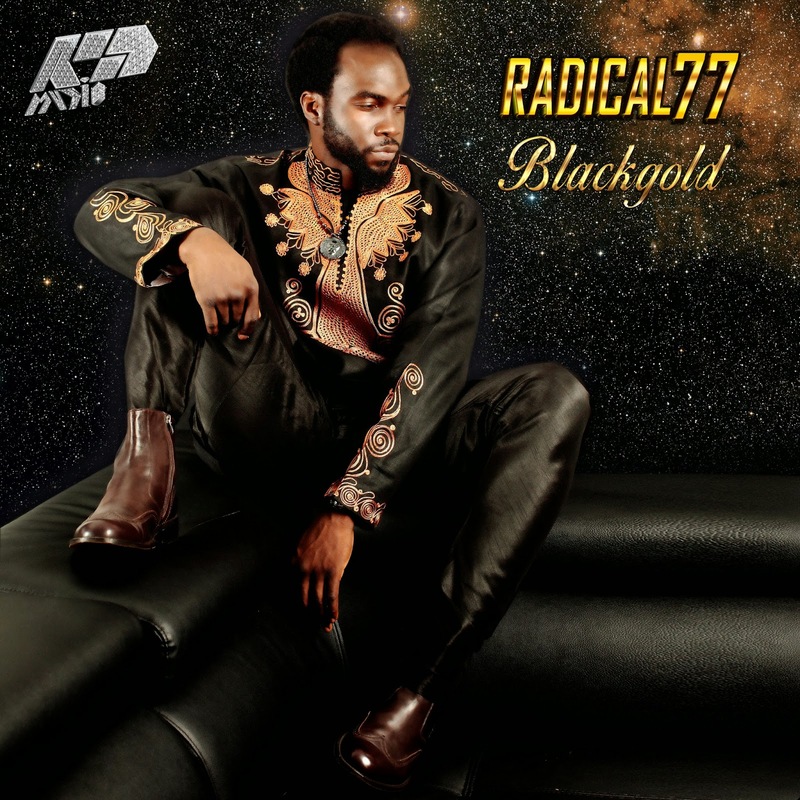 Without doubt Radical77 is back with a big bang and ‘’Black Gold’’ is one for all playlists.